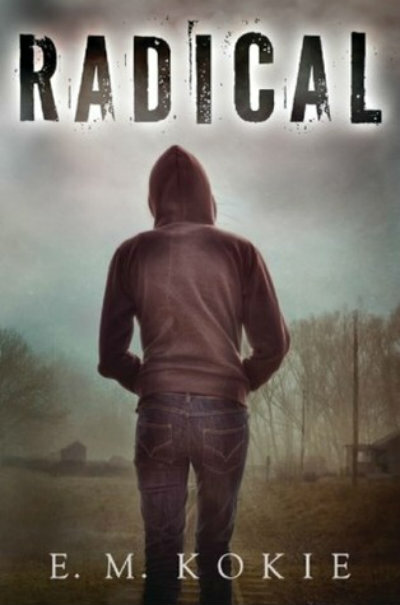 Radical by E.M. Kokie is a book that is difficult to place in a genre that has given us dystopian worlds such as The Knife of Never Letting Go, How I Live Now, and, of course, The Hunger Games. The novel contains, from it’s very first line (“They can die in their beds, for all I care. All of them.”) a very well-rendered sense of anxious anticipation that, throughout the course of the novel, builds to outright dread. We are firmly and unrelentingly in the protagonist, Bex’s, point of view, and Bex is certain the end is nigh. While Bex is undeniably an unreliable narrator, she’s surprisingly not the only one who thinks the end of the world is here. She surrounded by a brother and father who like all the things that she likes – guns, the Second Amendment, prepping and survival skills–but who simultaneously, and infuriatingly, don’t take her seriously purely because she’s a girl. She’s also growing up on the outskirts of a survivalist community called Clearview, a sort of gun club and range that lines up with all of Bex’s conspiracy theories about the necessity of a militia that would operate in case of a complete government takeover. In some of the most refreshing scenes in the books, we meet the young women who attend Clearview to shoot and train–tougher, smarter, and more serious than most of the boys who attend there, purely because, as women, they have to be twice as good to be taken even a little bit seriously. There are, of course, people who disagree with Bex’s paranoia. Bex’s mother, for example, wants nothing more than for her family to move back to the city so that everyone – but Bex in particular – can go back to having a “regular” life. (For Bex, this means going back to having long hair and liking girly things, and she–and we–are not predisposed to find her mother’s plight terribly sympathetic.) Similarly, Uncle Skip, with whom Bex and her family live after being plunged into poverty, thinks very little of Clearview’s raison d’etre; he’s wary of the effect that they’ll have on such an impressionable and frightened mind as Bex’s. And he’s not wrong, as we (along with Bex) later learn. As gritty, determined, resourceful, and intelligent a protagonist as Bex is, there are some things she just doesn’t know and can’t understand about the world around her. Kokie does an excellent job of tethering the reader firmly into her perspective, so that her revelations are our revelations. We learn, and mature, right alongside her. The summary is somewhat misleading, positioning Lucy, the out-of-towner Bex meets over the summer, as the wrench in Bex’s plans and in her understanding of the world. But Radical is not a love story, and ultimately Lucy isn’t the catalyst for changing Bex’s worldview. While it is understandable to highlight the romance as central to the novel, the relationship between Lucy and Bex is not the main draw – making it, in my opinion, the best type of queer lit. Bex is a complex and, in many ways, flawed protagonist who just happens to be queer; her queerness, though, is not what defines her. 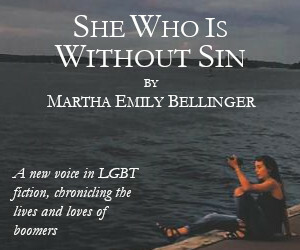 There is no coming out story, here, or angst about her sexuality. She’s just a girl going about the messy, and, at times, frightening process of growing up in a world upended by poverty, violence, classicism, and homophobia. 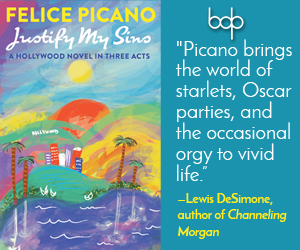 Readers who pick up the book and read the jacket may be expecting a completely different kind of novel, or several different types of novels over the course of Radical. Should we expect a dark setting where love conquers all? Should we expect a crisis-driven, dystopian world? Will there actually be a government takeover? The tone of the novel sets the reader precariously in the moments right before a crisis erupts, balancing uncomfortably on the edge of a knife. In the last third of the novel, disaster does indeed finally strike–though on a much more personal level than society-wide one, for Bex and her family at least. The novel also does pose the somewhat uncomfortable question of how much are we really actually already living in a police state, which is perhaps its most interesting feature. While it might be easy to write Bex off as a Second Amendment-obsessed, gun-toting, conservative wingnut (a portrayal that Bex herself is astutely aware of), anyone with any sort of awareness of politics or current social justice movements (particularly regarding racialized police brutality, a topic conspicuously absent from the novel) might find themselves more empathetic to Bex’s fear and distress than they’re comfortable admitting. The world Bex lives in, ultimately, is a dystopia in many ways; it is also not so very different from the world we live in now.